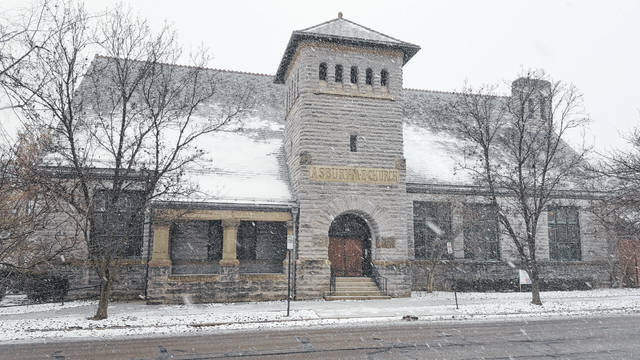 The Asbury United Methodist Church is one of eight stops on the upcoming Northwest Neighborhood Associations’s 2018 Historical Holiday Home Tour. The church is located at 55 W. Lincoln Ave. in Delaware. The historic Northwest Neighborhood of Delaware will hold its biennial Historical Holiday Home Tour from 3 to 7 p.m. on Saturday, Dec. 8. This year’s tour will include eight locations, seven traditional family homes and Asbury United Methodist Church. The event provides the Northwest Neighborhood Association the opportunity to showcase the diverse architecture in their neighborhood. Of the locations on this year’s tour, the earliest was built in 1856. Of the eight locations, four were built in the 1800s, one in 1901, one in 1919, and two in the 1950s. “We have another fabulous tour this year, with special thanks to our homeowners, who are selflessly opening their homes to the community,” said committee chair Kris Kolb. “We have 100 years of architecture on this year’s tour with homes that have been built between the 1850s and the 1950s, including Victorian, Italianate, Craftsman and Mid-Century Modern. Several of these homes have had recent renovations and additions, which shouldn’t be missed. “The homes on the tour will be decorated for Christmas, and several of the businesses in town are donating floral arrangements. To lend to the holiday atmosphere, live music will be provided at several of the tour locations by the orchestra students of Delaware Hayes High School. Thanks goes to the Delaware Arts Castle for providing our will call location at Gallery 22,” she added. Kolb said the NNA urges participants to take a few minutes to view the current exhibit on display at Gallery 22, while they are there exchanging their vouchers for the tickets/brochures. Sale of tickets for the event began Nov. 1, and proceeds go toward improving the neighborhood, which includes downtown Delaware. Past tours have raised money for such things as the purchase of Christmas lights and ornaments for the trees in the downtown area, trees planted on the tree-lawn around the neighborhood, and the purchase of new seats for the Strand Theatre renovation. Vouchers for tickets are available at the Delaware Antique Mall at 18 N. Sandusky St., at Edwin Loy Home/Stone & Sparrow at 27 N. Sandusky St., and through PayPal at www.delawareNNA.org. Vouchers for tickets/programs are exchanged at Gallery 22, 22 E. Winter St., between 2 and 6 p.m. This is a self-guided tour, and the sites do not need to be visited in any particular order. Tickets are $20 in advance and $25 the day of the tour. AMIDONIAN LLC has donated an electric fireplace for raffle at the tour, with proceeds to benefit the NNA. Tickets are $2 each or 11 tickets for $20. Raffle tickets are being sold in advance at the Delaware Antique Mall and at Gallery 22 during check-in for the home tour. The fireplace, which retails for $819, can be seen on display at the Delaware Antique Mall. The NNA was founded in 2001 by a group of residents and property owners to address civic and legislative issues facing the neighborhood. The neighborhood is bound by the Olentangy River on the east, Euclid Avenue on the west, Pennsylvania Avenue on the north and William Street on the south. It is a 501c3 non-profit community association that is committed to preserving the quality of life and fostering a sense of pride in Delaware’s historic northwest neighborhood. The NNA has long used funds collected from annual events (the Ghost Walks and Holiday Home Tours) to fund programs for the neighborhood. The Northwest Historic District was listed on the National Historic Register in 1996 and includes over 700 contributing structures.